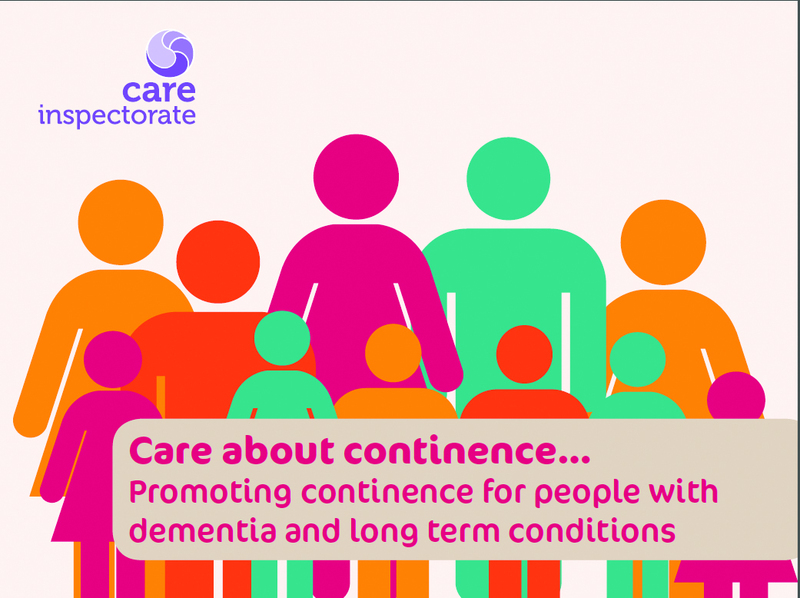 Care about Continence Not just seeing the person… listening to them too! People often talk about living with dementia as a journey and in many ways I too feel that I have embarked upon a journey of discovery and hopefully understanding. Working with the Care Inspectorate has given me the opportunity to connect with a whole range of people who have a commitment and passion to change how we deliver care and support to people living with dementia and their families and carers. I have also had the opportunity to meet and work with the members of the Scottish Dementia Working Group (SDWG) and the National Dementia Carers Action Network (NDCAN). My thinking and attitudes towards people living with dementia and their families and carers have changed significantly over the past two years and with this change comes a feeling that currently we are on the cusp of yet another breakthrough. I have always considered myself to work in a very person centred fashion, seeing the person for who they are and the life that has been lived and experienced. However, if I am honest, I think my expectations for their future was slim. Did I see on-going potential in the person living with dementia? Did I think of people living with dementia as equal citizens with rights? Or was my focus on the losses that the individual had experienced, be that the ability to drive, make decisions, or manage their own self-care. Seeing a person with dementia as citizen means that as a society we need to rethink how we support them to remain engaged and influence the world around them. This is not just best practice but is the right of the individual, not just if we have time, but every time! Archie Noone from the SDWG recently joined us for a two day event in Stornoway, his contribution was invaluable and influenced the tone and ultimately the learning experience of those who attended. Archie was not there as token gesture, but as a vital component of the day, at the break it was Archie’s contribution that people were talking about and I am sure that it is him people will remember. This was brought home to me very clearly in a recent project that we have been working on in the Care Inspectorate with a wide group of stakeholders. 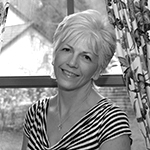 My colleague Jackie Dennis is the Professional Adviser for Continence. She raised with me the increased rates of incontinence especially within the care home setting. We began to question and explore this and discovered that there was wide variability across services that did not match our expectations. We formed a working group and from day one the voice of the person living with dementia and family carers were an essential part of the conversation. This has led to the development of a new resource “Care about Continence”. On the working group, Archie from SDWG and Christine, Lorna and Emma from NDCAN were joined by representatives from NHS Continence Advisors, Allied Health Professionals, care home staff, Scottish Care and University West of Scotland. We worked together to produce a resource that supports the rights of people with dementia and their carers and also follows best practice and current research. The resource will be launched in March 2015 and will include a useful pocket guide for people living with dementia, their families and friends and staff, as well as a DVD. The guide is written from the perspective of the person who is being supported. Here is a sneak peak of the key messages. find my way out and return to where I want to go. Staying continent for as long as possible while living with dementia and other long term conditions is something that I want to do, but I might need your help to do this. It’s the small changes that can really help. Know me and what’s important in my life and do what’s best for me. Know me and how I communicate. What I need to stay continent and how you can help. Create an environment that supports me to be independent and promotes continence. Look for every opportunity to promote my continence –Be creative. Delivering the right kind of support for people and their families with dementia can only be done if they are fully included at the very start of projects and new models of working. I am immensely proud of this resource and grateful for how it has contributed to my own development. So, thank you to everyone on the group, you are all valued colleagues. The skills and experiences that everyone brought to the table have truly shaped and influenced this resource. So next time you are thinking about changing a service, or starting a new group ask yourself are you reflecting what really matters to people living with dementia and their families and carers, and how have you engaged with them? 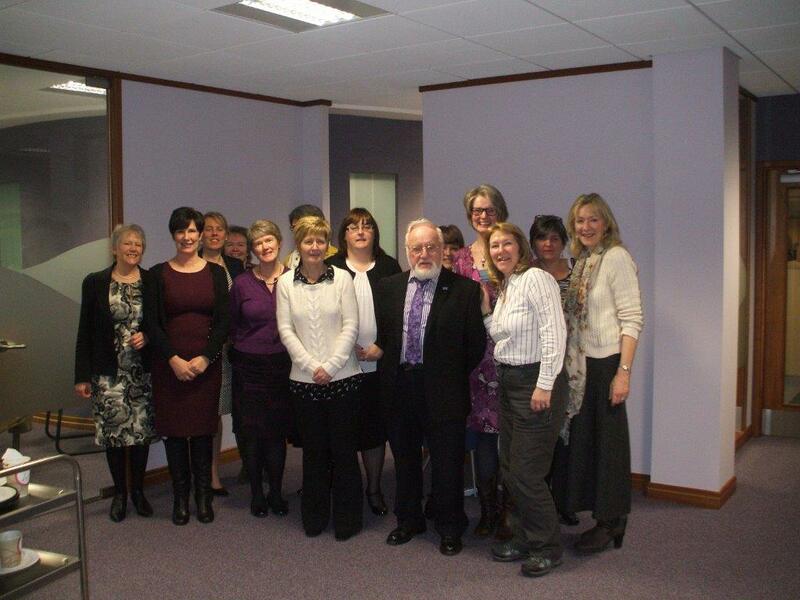 I joined the Care Inspectorate in January 2013 as a Dementia Consultant covering all of Scotland. My role is to promote improvement in dementia care and support in all registered care services, making sure that the voice of the person with dementia and their families and carers is at the heart of all that we do. 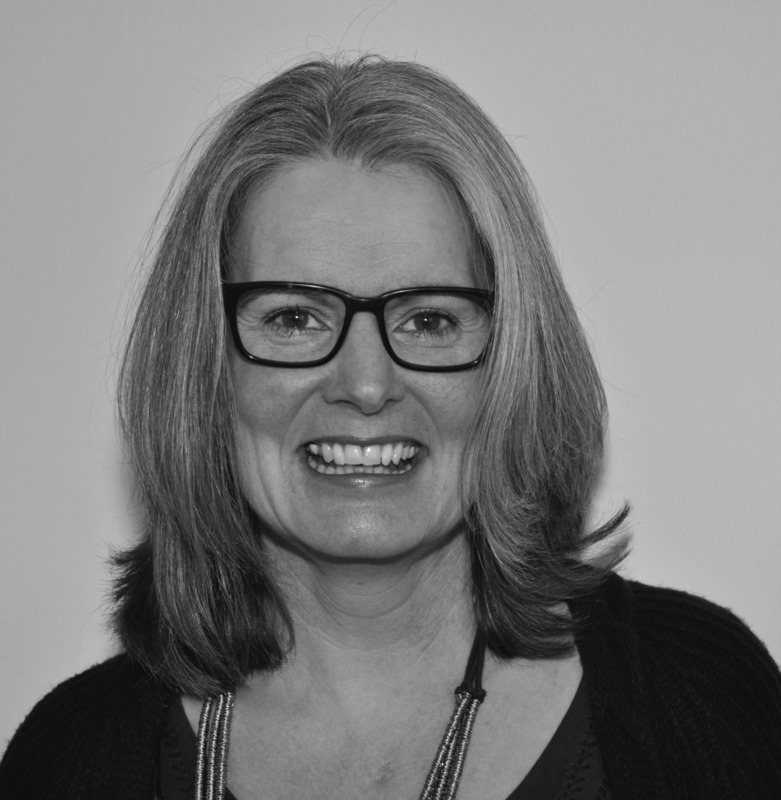 I am an occupational therapist by profession with over 25 years experience working with older people both here in Scotland and America. Get up and go, has it got up and gone? My name is Edith and I work as the national Rehabilitation Consultant in the Care Inspectorate, my background is in Occupational Therapy. The Care Inspectorate is the scrutiny and improvement body for care services in Scotland and my role in the organisation is all about improving the quality of life, health and well – being for those people who live in or use them. I have the privilege and pleasure of working across many organisations and sectors and meet a diverse group of people locally, nationally and internationally. Over the past few years one of the areas I have been involved in is promoting physical activity in the care sector through the work of the Go for ‘Gold Challenge Scotland Programme’. I never fail to be inspired by those older people who despite the challenge of frailty and in many cases a diagnosis of dementia take part in various physical challenge events annually with great enthusiasm. Their desire to be active and let’s face it, be competitive, drives them to get up and go no matter what age or stage in life! Being active, which helps us to be independent, is of course a basic human drive in all of us and having a reason to do that makes us get up in the morning! We all need a purpose and need to be valued, feeling we contribute to life and to the lives of others. Does that stop as we get older if we live with dementia or our home is in a care home? I don’t think so! So what’s out there to help care home staff to make the difference? In order to support care home staff to promote active living in a care home, this past year has seen the development of ‘Care… about physical activity’. One of the great things about this resource is that it highlights how easy it is to move a bit more often every day. It doesn’t require complex, organised activities to be more active, although these can be helpful, it is about seeing and taking the every- day opportunities there are to be active and enjoy life. It may be something as simple as making a cup of tea, going for a walk or taking part in a spot of gardening that will make the difference when it comes to supporting people to get up and move around and enjoy a better quality of life, especially as people get older. It also helps to prevent falls and fractures which is very important in a care home setting. The resource pack has been issued to over 900 care homes for older people in Scotland. Don’t let your “get up and go” escape!! The message about increasing physical activity is for all of us, not just for care home residents and care staff. So….what can you to do tomorrow, next week, next month or next year to support people to be more active every day and to affect positively a person’s quality of life? And what about you?! I have been in the role of Rehabilitation Consultant for 4 and a half years. This is an improvement role within the Care Inspectorate funded by the Scottish Government and is a national lead role. I support improvements in the care sector particularly with care homes for older people in areas relating to rehabilitation. Alot of my work also touches care at home services. Some of the areas that I have been particularly involved in are falls prevention and management, person centred care, physical activity and the Go For Gold Challenge Scotland Programme and developing AHP practice placements in care homes for older people.